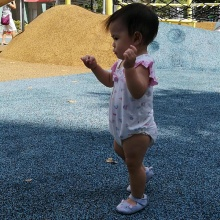 Took her first few steps on Wednesday.Brought her to playground again today, but she refused to walk. Meh. Join our community! Download the app, and get updates from fushi. Remove this bar by logging in.